HomeSpotlightNEWS: Tony Campos announces NEW Static-X album! NEWS: Tony Campos announces NEW Static-X album! 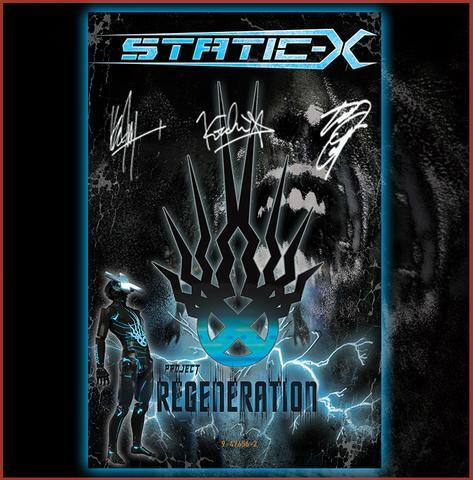 As the 20th Anniversary of “Wisconsin Death Trip” will be 2019, the original members of Static-X are reuniting to record a new album entitled “Project Regeneration”. The album and a 20th Anniversary World Tour will be a tribute to the much loved and dearly departed Wayne Static, who passed away on 1st November 2014 of an accidental drug overdose. In the accompanying video, bassist Tony Campos announces that they are already recording with the aim of 12 to 15 new tracks that will include the final recordings of Wayne Static himself alongside guest vocalists and production from Ulrich Wild. The video is here, the pre-order campaign is already under way here. Spotlight: Truant reacts to Hunt The Dinosaur!